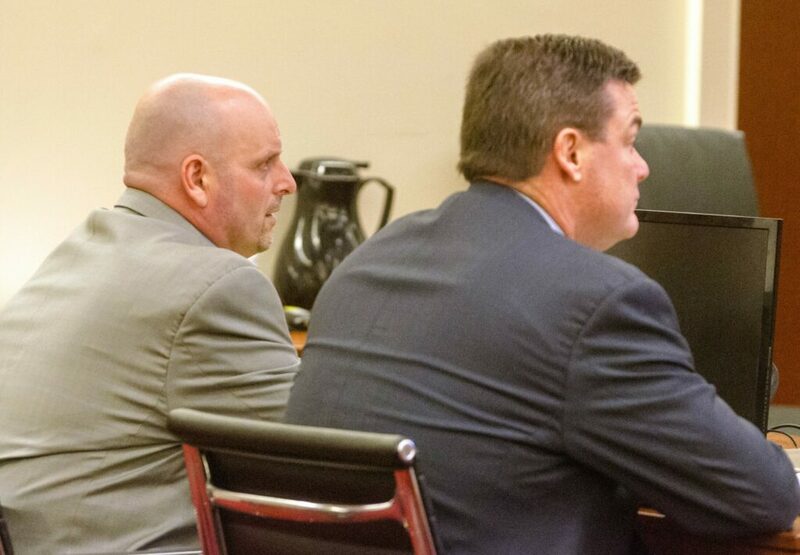 AUGUSTA — A Portland man accused — with two others — of stealing more than $10,000 from the Augusta Elks Club and numerous other businesses in the state in 2015 was sentenced to 40 months’ imprisonment Tuesday on a single charge of violating a condition of release. Police estimated the value of the items taken in the series of burglaries, combined with the damage done to facilities by getting into them, totaled more than $200,000. The money taken from the Augusta Elks Club was meant to cover the costs of a fundraiser for a foundation for wounded veterans. Charles R. York was one of three suspects in dozens of burglaries, most occurring at night at businesses in Cumberland, Kennebec, Lincoln and Knox counties. He faced dozens of burglary and related charges in a jury trial scheduled to start Tuesday morning at the Capital Judicial Center. 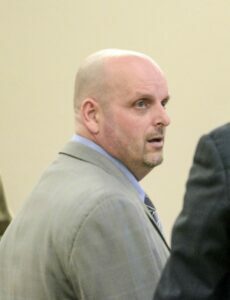 Instead, a plea deal was reached, before jurors entered the courtroom, in which York pleaded guilty to a single charge of violating a condition of release, for calling a woman who was to be a witness in the case — whom he was prohibited from contacting — on the phone from jail. The charge is a class C felony, as were the burglary charges the state dropped as part of the plea deal. He was sentenced Tuesday to 40 months in jail, time he’d already served while awaiting trial, so he was expected to be released Tuesday. Kennebec County District Attorney Maeghan Maloney said the decision to make the offer of the plea deal was made after she heard from the Cumberland County District Attorney’s Office, which led the prosecution of the case, they didn’t think they could prove the case beyond a reasonable doubt in court. “I’m definitely disappointed, but when I hear a case can’t be proven beyond a reasonable doubt, when a prosecutor tells me that, I have to acknowledge we can’t go forward,” Maloney said later Tuesday. In court, Carlos Diaz, an assistant district attorney in Cumberland County assigned to the case, told Justice Michaela Murphy the plea agreement was reached after years of litigation in large part because of challenges the state saw in the case approaching the trial, in which some 39 witnesses were expected to be called to testify over nine days. He said the passage of so much time since the crimes occurred made it difficult for some witnesses to remember the events. “The reality is we feel this is a fair and reasonable agreement that reflects the challenges the state would face in bringing this case to trial,” Diaz said. Murphy said she knew it had been an “incredibly complicated case” involving multiple prosecutorial agencies and the three defendants and said considering all the factors, the result was reasonable. York’s attorney, Robert Andrews, said the agreement was a good resolution to the case. York, 41, of Portland, was one of three men arrested in October 2015 and charged with numerous burglaries, most at businesses, and indicted in December 2015 in connection with the Augusta Elks Club break-in. Taylor Shultz, 38, of Limerick, pleaded guilty June 22, 2018, in Cumberland County Superior Court in Portland to three counts of burglary in connection to some of the crimes. His sentencing was awaiting the conclusion of the cases involving co-defendants York and Michael J. Warner II, 40, of Portland. Warner’s case is under appeal before the Maine Supreme Judicial Court. The Cumberland County District Attorney’s Office is appealing a judge’s ruling that the affidavit filed in court to secure a search warrant for Warner’s cellphone records did not provide adequate probable cause. The Augusta charges were linked to the May 25-26 2015, break-in at the Augusta Elks Club and another break-in at Twins Country Market on Aug. 21-22, where the three they were accused of stealing more than $1,000 in cash and cigarettes. Other charges against them were connected to burglaries at J.C. Penney in Rockland, in which more than $10,000 in merchandise was taken; and Townline Video Plus in Warren, in which more than $10,000 worth of goods was taken. Elks Club officials said the money that was stolen was seed money to pay for the costs of a fundraiser concert later that summer for the Travis Mills Foundation. The money was replaced via several other fundraisers, and the event went on as scheduled and raised almost $15,000 for the Mills Foundation. York was not ordered to pay any restitution as part of his sentence. Maloney said the court found York had no ability to pay restitution. However, she said, she will still pursue restitution in the remaining case, which is Warner’s. Maloney said the Cumberland County District Attorney’s Office took the lead role in the prosecution in part because a prosecutor there, who has since left the office, had expressed interest in taking on the case. She said most of the burglaries occurred in Cumberland County. The men were arrested after investigators from the Kennebec County Sheriff’s Office responded to a July 30, 2015, report of a burglary and theft at Tobey’s Grocery in China and an investigation into that eventually led them to charge the three men.